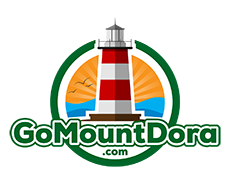 Please see our statement regarding the closing of the Mount Dora line or Click Here. Board the train in Tavares Florida, America's Seaplane Capital, and begin your long distance journey (30 minutes one way) to one of two beautiful destinations. The train ride recreates the nostalgia of traveling in 1940's era passenger equipment, the lap of luxury for that time, across long distances to a destination. Once you depart Tavares the total trip takes approximately one hour and fifteen minutes to return. 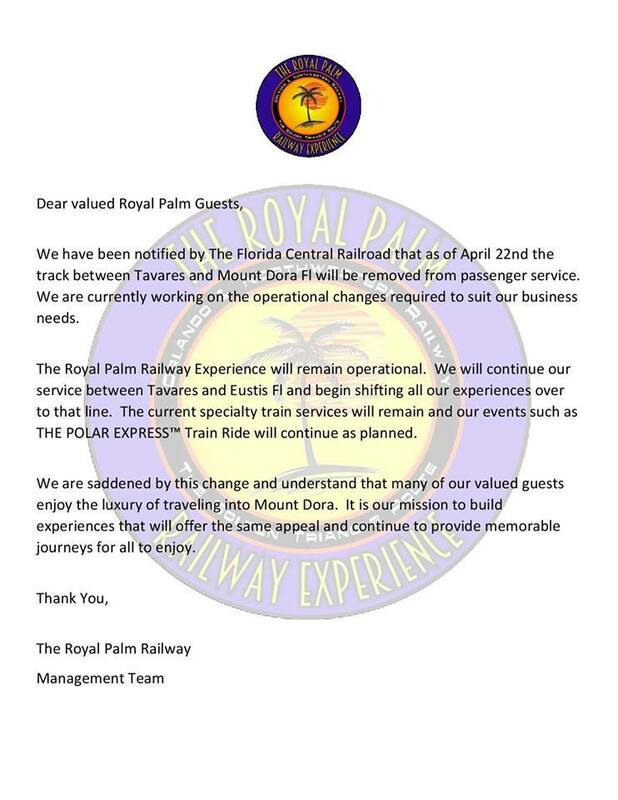 However, you may depart the train at your destination city and take your time to shop and have lunch before catching another return trip back to Tavares. All of our passenger equipment is air conditioned and kept at comfortable levels for the Florida weather. A variety of snacks, drinks, and alcoholic beverages are available on board for additional purchase. Purchase your ticket for the day and you may board the train at anyone of the scheduled departures at any station stop. The train is in the station for approximately ten minutes at each stop and will leave promptly on time.